After Friday's narrow defeat to unionize VW's Chattanooga TN, plant, the fight to both expand and eliminate the UAW will begin to move south. The Center for Worker Freedom, one of the organizations that lobbied against the unionization of VW's Chattanooga plant, is planning on heading to plants in Mississippi and Alabama. The plants in question belong to Mercedes-Benz and Nissan, which have long been in the UAW's long term plan to unionize. The defeat at VW is a setback, but they will definitely continue to push on. And so will the anti-union movement. President Obama is expected to announce today that his team will begin working on new, tighter, fuel regulations for medium and heavy duty vehicles. This is a promise from the state of the union address, where he said that he wanted to reduce our dependence on oils and what we pay at the pump. Don't expect an announcement on the new regs soon though, the EPA has until 2016 to set the regulations. Projections show that we could save 530 million barrels of oil, based on the previous round of updated regs from 2011. What this means is that the all aluminum 2015 Ford F-150 doesn't seem to silly anymore, does it? Interesting little tidbit from our pal Karl Henkel over at The Detroit News. In order to develop new seats for the F-150, Ford got men that weighed at least 265 pounds to wear dirty jeans to climb in and out of their trucks to develop a new seat. The 10 men worked 10 hour days for a week in the Texas summer, wearing the same jeans for a week. The pay rate had to be increased during the week because apparently what they were making just wasn't enough. But because of their work, we'll have stronger seats in the 2015 F-150 that weigh 30 pounds less than the seats before. That's one way to do it. See, if we ran Mitsubishi, they'd only make the Lancer, that way they'd have a car to base the Evo on. But then Mitsubishi probably wouldn't be a company anymore. So instead, Mitsubishi is going to start introducing more hybrids and plug-ins in order to bridge the gap that they currently have here in the USA and at home in Japan. What's amazing is that, while you might not realize it, Mitsubishi has been incredibly profitable overall in the last few years. They expect their business year, which ends next month, to rake in a $975 million profit. A record for the second straight year. Electric cars are getting better and better all the time, but the way they're charged has always been a little issue. The current solution of a loose cable is rather inelegant and could become a mess over time. Inductive charging seems like the best solution, and now Toyota is testing it on the Prius. Toyota has given the cars to a few customers in Japan just so they can see how easy the inductive charging is to live with. If it works, look for it to start appearing in more place. On this day in 2001, Dale Earnhardt Sr., considered one of the greatest drivers in National Association for Stock Car Auto Racing (NASCAR) history, dies at the age of 49 in a last-lap crash at the 43rd Daytona 500 in Daytona Beach, Florida. Earnhardt was driving his famous black No. 3 Chevrolet and vying for third place when he collided with another car, then crashed into a wall. 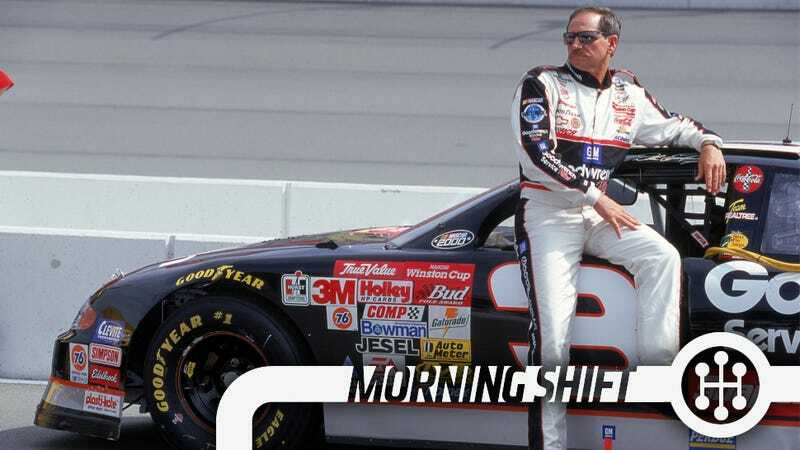 After being cut from his car, Earnhardt, whose tough, aggressive driving style earned him the nickname "The Intimidator," was taken to a hospital, where he was pronounced dead of head injuries. What's your take on the UAW's fight to unionize foreign automaker plants? Good? Bad? Will it work? Will it end the UAW?